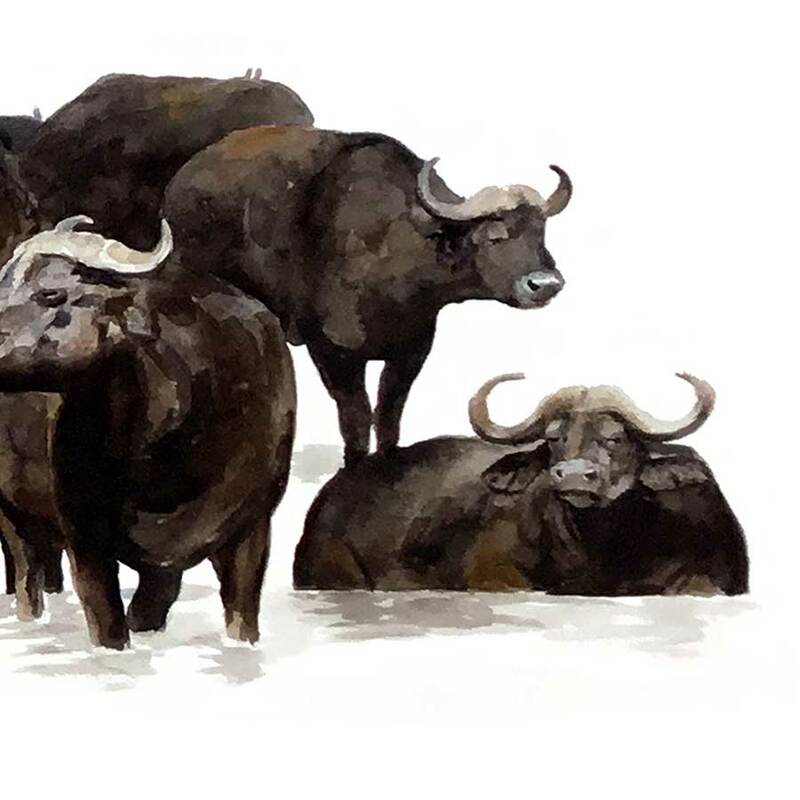 Original watercolour painting of a herd of buffalo wallowing in mud. 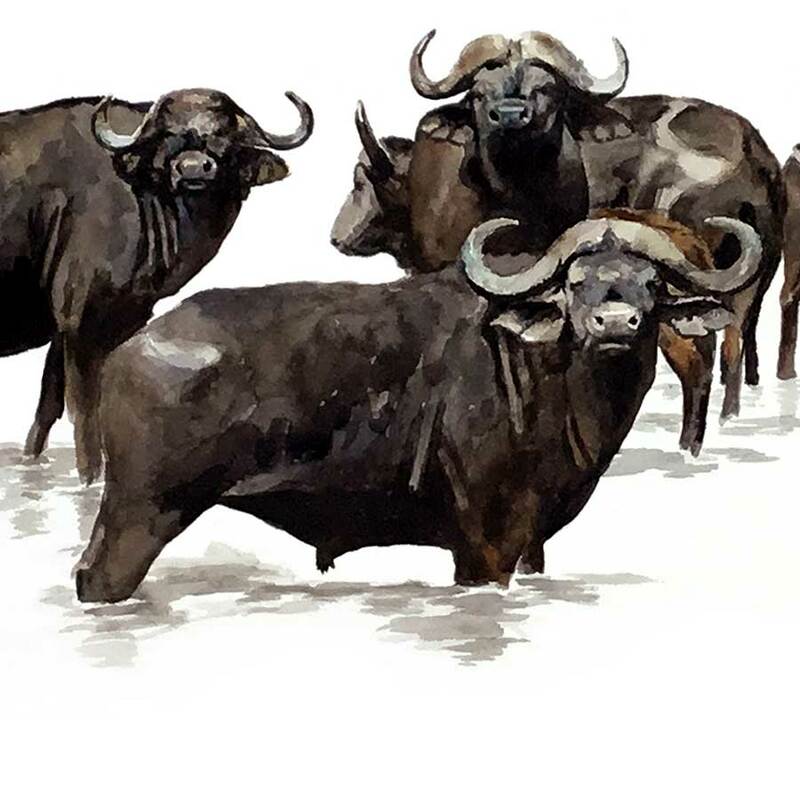 Painting of a Buffalo Herd. 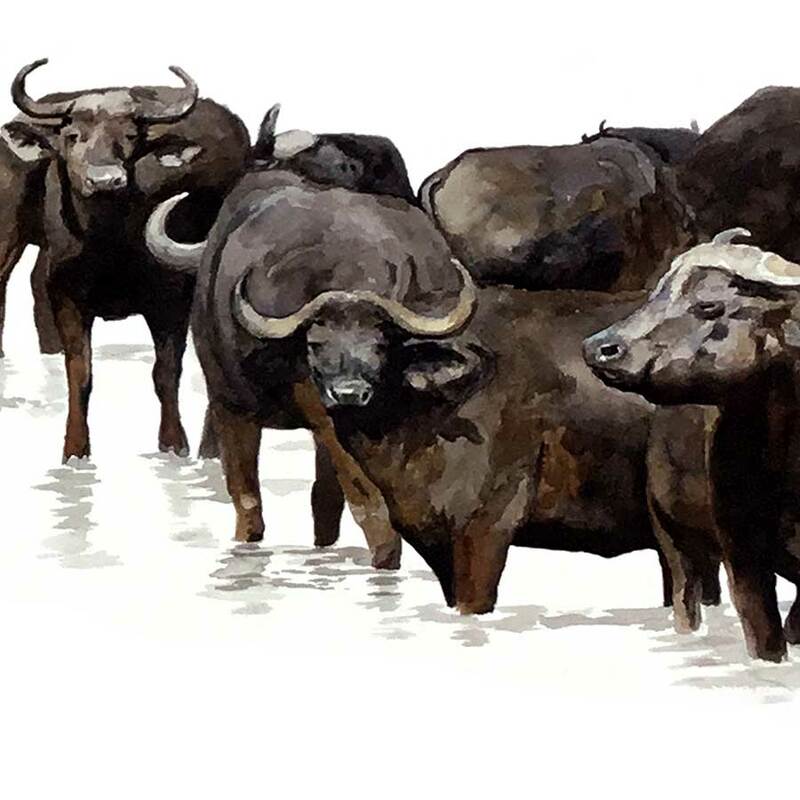 Try to Paint of a buffalo herd wallowing in mud. Because of the African heat, buffalo enjoy wallowing in mud. As a result, they not only cool off, but also rid themselves of ticks. Buffalo are probably the most dangerous animal to encounter when on foot in the African bush. As a result, they are part of the African Big Five 5 animals. 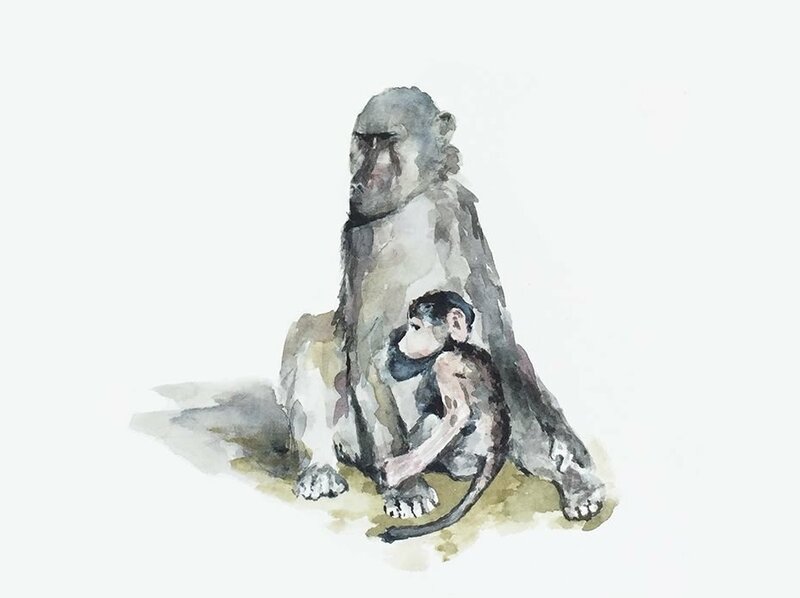 In this watercolour watercolor painting, however, they look quite benign and almost friendly. 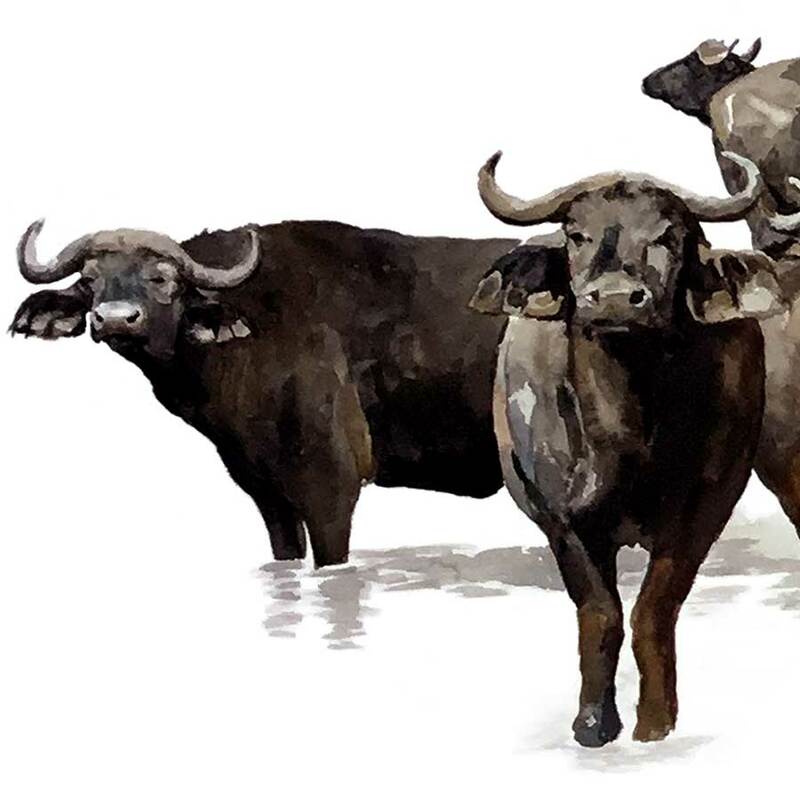 Consequently, this original wildlife painting of the Cape Buffalo herd shows their immense bulk. 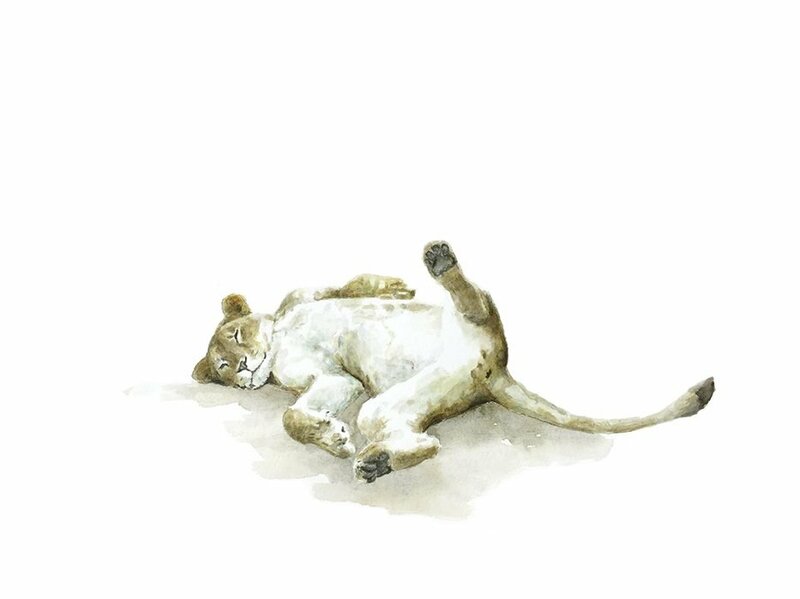 The delicacy of the watercolour watercolor medium can also convey these solid animals. Mainly preyed upon by lions. When a herd member is attacked, others will rush to its defence. 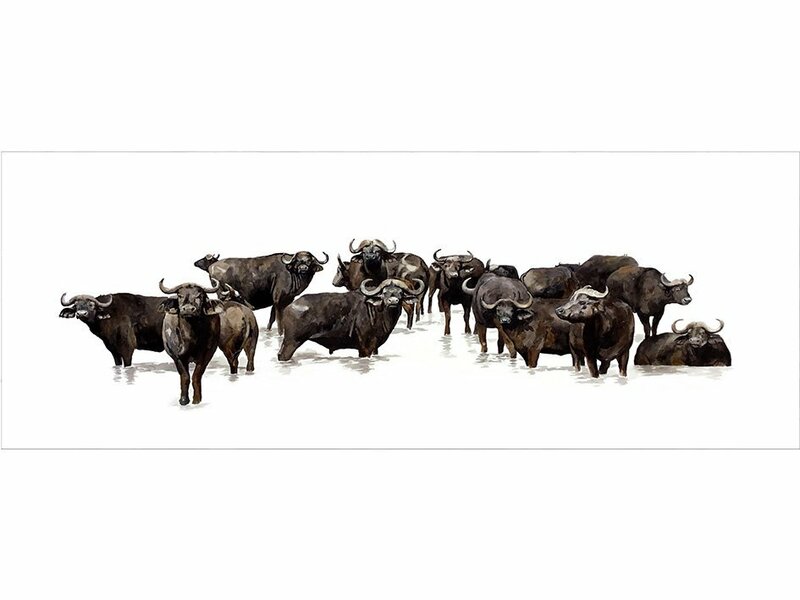 Collectively a number of buffalo are more than capable to stave off an attack by an entire pride of lions.